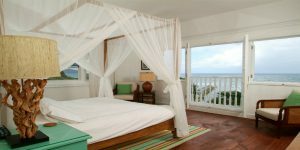 Little Good Harbour is an intimate and stylish boutique hotel, located in a small fishing village on the north west coast of Barbados just a few miles north of Speightstown. 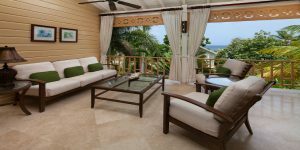 The property incorporates a restored 18th century fort, with spacious and well-equipped suites which are either located within tropical gardens or overlooking the sea. A highlight of the hotel is The Fishpot restaurant, a favourite with the Tropic Breeze team which is set directly at the water’s edge and promises breathtaking views, fantastic local produce and friendly service. You will have plenty of time to sample the outstanding cuisine as lunch or dinner is included during your stay at Little Good Harbour – be sure to enjoy a pre-dinner drink at least once so you can witness the stunning sunset from the terrace. While staying at Little Good Harbour, guests can venture southwards to enjoy the sights and sounds of the glamorous ‘Platinum’ west coast. 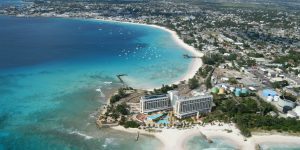 The coastline is known for its stunning beaches, where soft sand and calm waters allow for swimming and plenty of water sports. 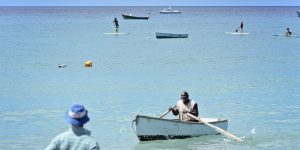 Places of interest along the coast include Speightstown, a charming town with colonial architecture, and Holetown in St James Parish, where a range of fine dining restaurants and lively bars can be found. 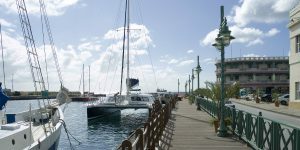 In the south-west of the island is Bridgetown, the island’s capital city of which a large area is now a UNESCO World Heritage Site due to the abundance of historic colonial buildings. 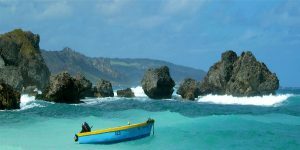 After spending four nights on the west coast of Barbados, travel by private transfer eastwards to the Atlantic side of the island, following the coastline southwards until you reach The Atlantis. 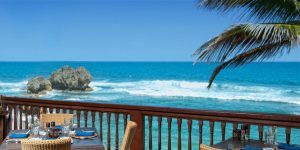 The Atlantis was the first hotel to be built on the east coast of Barbados and is steeped in history, now offering ten ocean facing suites with views over the rugged coastline. 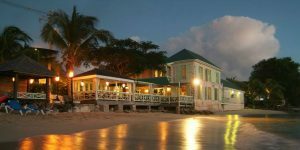 The chic, boutique hotel is set within beautifully landscaped gardens with a lagoon shaped swimming pool and a restaurant that serves famous West Indian buffet lunches every Wednesday and Sunday. Guests can spend their days relaxing in the idyllic location and exploring the island’s scenic east coast. The Atlantic coast of Barbados is less developed than the west coast, with high waves breaking over dramatic cliffs and rock formations. 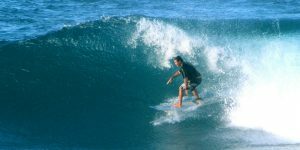 Guests staying at the Atlantis can take advantage of the consistent conditions by learning to surf, or they may prefer to watch experienced surfers at the renowned ‘Soup Bowl’ surf break which is found nearby. 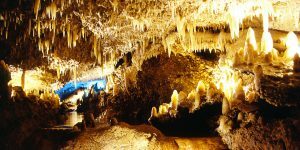 Other places of interest in the surrounding area include botanical gardens, plantation houses and breathtaking limestone caves. 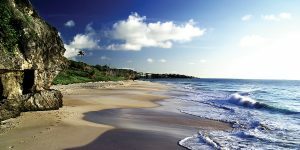 In the south east of Barbados is Crane Beach, widely renowned as being one of the most beautiful beaches in the world with pale pink sand and gentle waves that are perfect for boogie boarding. 7 nights from £1875 between 24 April – 15 December 2017. 7 nights from £1995 per person between 12 January – 23 April 2017. Sample prices include flights, private transfers to and between hotels, 4 nights’ half board at Little Good Harbour sharing a One Bedroom Suite, 3 nights’ half board at The Atlantis Hotel sharing a One Bedroom Coastal View or Oceanfront Room, a bottle of Prosecco on arrival at Little Good Harbour and a welcome drink at The Atlantis. 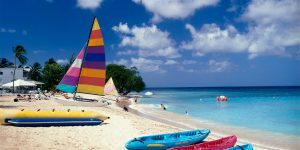 Call us on 01752 880880 or email [email protected] to discuss your holiday to Barbados. Photos provided by the Barbados Tourism Marketing Inc. Sample prices are based on two people sharing the lowest room type during the cheapest period, including flights and transfers as well as current special offers. Prices are a guide only, contact us for a tailor made quotation.